It is a colorless, caffeine-free, lemon and lime-flavored soft drink manufactured and distributed by The Coca-Cola Company. This beverage is now sold in more than 190 countries around the world. Sprite was first developed in West Germany in 1959 as Fanta Klare Zitrone and was introduced in the US under the current brand name in 1961 as a competitor to 7 Up. From 1978 until now, it has been in the leading position of the lemon soda category. Due to the inclusion of lithium citrate, the drink was originally marketed under the name “Bib-Label Lithiated Lemon-Lime Soda” as a hangover cure. Lithium citrate is a chemical compound which has been used for many decades for the psychiatric treatment of bipolar disorder and manic states. It was also used as a supposed cure for hangovers. The name of this beverages was changed to 7Up shortly after its release, however, lithium citrate remained one of the ingredients until 1950. Today it is owned by Keurig Dr Pepper. This beverage contains the following ingredients – carbonated water, high fructose corn syrup (a sweetener made from corn starch), citric acid (an organic acid of many fruits), natural flavors, sodium citrate, and sodium benzoate (the sodium salt of benzoic acid). There is also a sugar-free version, called – Sprite Zero. High-fructose corn syrup is a type of artificial sugar produced from corn syrup. This artificial sweetener has been shown to increase the risk of developing type 2 diabetes, high blood pressure, and heart disease. According to a study which was conducted by Princeton University, rats that were fed high-fructose corn syrup gained fat 300 percent more quickly than those fed an equal serving of fruit-derived sugar. Also, in a 2009 study that was issued in “Environmental Health,” scientists detected mercury in 9 out of 20 commercial high-fructose corn syrup samples. When it comes to the sugar content, a 12 fl oz can of this beverage contains 38g of sugar, which is approximately 7 tsp of sugar. Sodium benzoate is a food additive that is used to prevent food from molding. A study issued in 2007 for the UK’s Food Standards Agency concluded that certain artificial colors, when paired with sodium benzoate, may be associated with hyperactive behavior. In addition, when sodium benzoate is mixed with ascorbic acid (the synthetic form of vitamin C), it transforms into benzene, a potent carcinogen and DNA damager. Sodium citrate is a white granular crystal which is odorless with a slightly acidic taste. 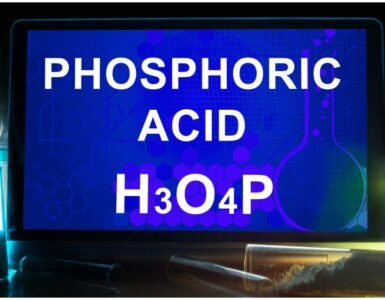 It is used in the food and beverage industry as an acidity regulator and flavoring agent. Patients with hyperkalemia and/or heart problems should avoid foods and drinks that contain sodium citrate. According to the manufacturer, this beverage also includes ingredients sourced from genetically engineered crops, commonly known as GMOs. This beverage contains the following ingredients – high fructose corn syrup (a liquid blend of both glucose and fructose), calcium disodium EDTA (a crystalline powder used as a preservative), filtered carbonated water, potassium citrate (also referred as tri-potassium citrate), citric acid, and naturally occurring flavors from spices, yeast, vegetables, fruits, and herbs. Calcium disodium EDTA is a white, odorless, crystalline powder which is typically used as a preservative and sequestrant by the food industry. It is a combination of lime and lemon. It has a refreshing lemon-lime taste. An upset stomach can really put a damper on your ability to live a happy life. Interestingly, when it comes to stomach distress, many people view a cup a soda as just what the doctor ordered. To start with, there is no scientific research which supports the claim that any type of a soda can help ease a stomach ache. On the contrary, research shows that drinking soda while experiencing a stomach ache may not be a great idea. In conclusion, soda is not a good pick for an upset stomach. Almost all soda drinks contain chemicals (food additives) which aren’t going to help ease the problem. In addition, this type of sodas contain gas and you don’t really need to add more gas when having a stomach ache, do you? The more diet sodas a person drank, the greater their risk of becoming overweight, as per a study that was done at the University of Texas Health Science Center. Diet and regular carbonated soft drinks can harm your teeth because your mouth contains bacteria which feed on sugar, producing chemicals that can break down the enamel (the hard mineralized surface of teeth) of your teeth. Almost all aluminum soda cans are lined with an epoxy resin called bisphenol A, used to keep the acids in soda from reacting with the metal. Bisphenol A has been strongly associated with obesity, infertility, some forms of reproductive cancers, and diabetes. BPA is also known to negatively interfere with hormones. In addition, BPA prevents proper embryo thyroid development.